Asansol is in Paschim Bardhaman district in the Indian state of West Bengal. It is the second largest city in West Bengal after Kolkata and the district headquarters of Paschim Bardhaman district. It is the 39th largest urban agglomeration in India. According to a 2010 report released by the International Institute for Environment and Development, a UK-based policy research non-governmental body, Asansol was ranked 11th among Indian cities. and 42nd in the world in its list of 100 fastest-growing cities. Asansol is classed as a Y-category city for calculation of HRA (House Rent Allowance) for public servants, making it a Tier-II city. "Asan" a species of tree which generally grows thirty meters tall, are found on the banks of Damodar River. "Sol" on the other hand refers to land. The name "Asansol" is a combination of these two words "Asan" and "Sol". Asansol is a city on the banks of Damodar and its land is rich in minerals. The region saw an initial settlement of the Dravidian and the Australoid. Notable Jain activities were exercised around two thousand five hundred years ago in this region which is apparent from the Jain temples are present in Pareshnath hill in neighbouring state Jharkhand. Further, presence of Jain temple at the banks of Barakar River in Begunia and neighbouring Bankura district also confirms this theory. It is believed that Mahavira Vardhamana who was the last Tirthankar of Jain religion used to live and work here. There is a Jain temple present in Asansol, devoted to Vasupujya, the twelfth Tirthankara. Subsequently, the region was believed to have been a part of the kingdom of Vishnupur where the Malla dynasty ruled for approximately a thousand years till the emergence of the British. This theory is backed by the presence of Vishnupur style temple present at Chhotodighari village in Asansol. Asansol is a cosmopolitan city located on the lower Chota Nagpur Plateau, which occupies most of Jharkhand, between the Damodar and Ajay rivers. Another river, the Barakar, joins the Damodar near Dishergarh. A small rivulet, Nunia, flows past Asansol. While Dhanbad district in Jharkhand lies on the western side, Durgapur subdivision lies on the eastern side. 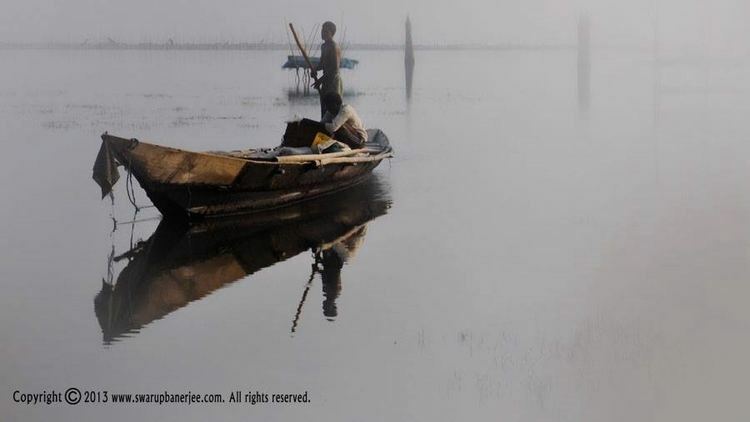 To the south, across the Damodar river are the Purulia and Bankura districts. To the north are Dumka and Birbhum districts. Dhanbad district is a major coal mining area and has close links with Asansol; both lie in the Damodar valley. Asansol North police station has jurisdiction over Raniganj CD Block and parts of Asansol Municipal Corporation. The area covered is 49 km2 and the population covered is 410,000 (2001). Asansol South police station has jurisdiction over parts of Asansol municipal corporation. The area covered is 69 km2 and the population covered is 475,439 (2001). Asansol Women PS covers both Asansol and Durgapur subdivisions. Raniganj, Jamuria, Hirapur and Kulti police stations also serve parts of Asansol municipal corporation area. According to the Kolkata Gazette notification of 3 June 2015, the municipal areas of Kulti, Raniganj and Jamuria were included within the jurisdiction of Asansol Municipal Corporation. Asansol is administered by the Asansol Municipal Corporation. In 1850, a union committee was formed to look after the civic needs of Asansol. The municipality was approved in 1885 but started functioning effectively in 1896. It was upgraded to the status of a corporation in 1994. Since 2011 it has had its own Police Commissionerate. In 2015, Kulti, Jamuria and Raniganj Municipalities were dissolved and now these areas are administered by the Asansol Municipal Corporation. Thus the proper city limits of Asansol includes the old Asansol Area, including Burnpur, as well as other prominent locations like Raniganj, Chinakuri, Mithani, Barakar, Kulti, Dishergarh, Neamatpur, Sitarampur and Jamuria. Asansol Municipal Corporation has 106 wards. Asansol-Durgapur Development Authority (ADDA) was established in April 1980 by the merger of the Asansol Planning Organisation and the Durgapur Development Authority. Jurisdiction of ADDA covers the areas administered by Asansol Municipal Corporation, the Jamuria Panchayet Samiti, the Community Development Blocks of Andal, Pandabeswar and Durgapur-Faridpur, Durgapur Municipal Corporation and a small part of Kanksa Community Development Block. Asansol has hot and dry summers and cold chilly winters. In summers temperatures soar above 40 C with dry hot air blowing known as 'loo' while in winter temperatures go below 10 C. Monsoon lasts from August to September. The Köppen Climate Classification sub-type for this climate is "Aw" (Tropical Savanna Climate). The Grand Trunk Road (NH 19 - old numbering NH 2) runs across the subdivision and NH 14 (old numbering NH 60) connects Asansol with Odisha. NH 19 has been broadened as part of the Golden Quadrilateral project and now allows two-lane traffic in both directions. A highway bypass avoids the areas of Ushagram, Murgasol, Asansol Bazar, Chelidanga, BNR, Gopalpur, Neamatpur, Kulti and Barakar. Some of the other important roads of the city are namely Vivekananda Avenue, Burnpur Road and S.B Gorai Road. The South Bengal State Transport Corporation operates daily bus services to Kolkata and numerous other destinations, such as Malda, Siliguri, Midnapur, Bankura, Siuri, Purulia, Burdwan, Kalna, Habra, Barackpore, Digha, Bolpur, Kirnahar and Berhampore. The North Bengal State Transport Corporation also runs services to and from the city. There are also many private bus operators, Taxis, Radio Taxis like Ola Cabs etc. are working locally and interstate routes. From its earliest days, Asansol has been the hub of railway transport in the region. The Asansol Railway Division is currently a part of the Eastern Railway Zone. The city serves as the headquarters of the eponymous division and spans a distance of 493 kilometres (306 mi), spread across West Bengal and Jharkhand. It includes important stations such as Andal, Raniganj and Durgapur. The railway track from Kolkata to Delhi passes through the subdivision and bifurcates into the main line and the grand chord line at Sitarampur railway junction, a little to the west of Asansol railway junction. Another railway track links Asansol with Adra and then to Jamshedpur via Purulia and Kharagpur via Bankura. A branch line connects Andal with Sainthia on the Sahibganj Loop. Almost all the trains linking Kolkata with north India also connect with Asansol. As a result, Asansol enjoys superb connectivity with cities like New Delhi, Jammu, Amritsar, Ludhiana, Allahabad, Kanpur, Lucknow, Dehradun, Jaipur, Jodhpur, Jaisalmer, Gwalior, Bhopal, Indore, Patna, Ranchi and Dhanbad on the one hand and commands a fairly good traffic movement towards the western cities like Mumbai, Ahmedabad and Surat and southern cities like Hyderabad, Bhubaneshwar, Visakhapatnam, Vijaywada, Chennai, Bangalore and Trivandrum. It is also connected with Guwahati in the north-east region. Kazi Nazrul Islam Airport at Andal is the nearest domestic airport. It commenced operations in May 2015 and is roughly 25 kilometres (16 mi) from Asansol's City Bus Terminus. The nearest international airport is Netaji Subhas Chandra Bose International Airport at Dum Dum in Kolkata. There is also a private aerodrome located at Burnpur Riverside Area. At present this Aerodrome is operated by IISCO. Recently Airport Authority of India gave nod to start commercial flights for six routes in West Bengal; Burnpur Airport being one of them is hopeful to receive its first commercial flight by the last quarter of 2017. The economy of Asansol is primarily dependent on its steel, coal, railways and last but not the least trade and commerce . 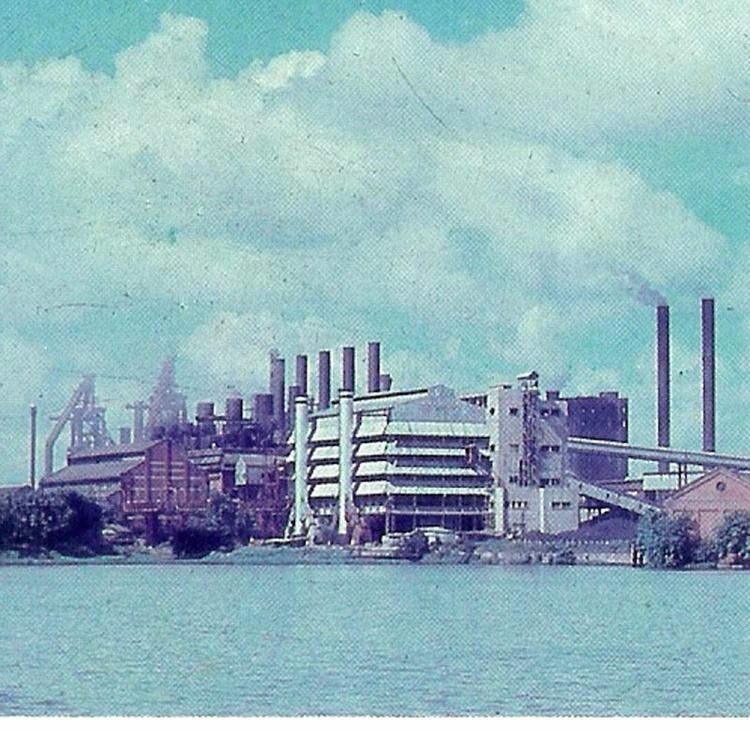 The IISCO (Indian Iron and Steel Company Ltd) steel-making plant at Kulti was the first such facility in India. It became well-known during the 1960s and 1970s, with its company shares being traded on the London Stock Exchange. However, a decade later the company became loss-making until it was revived in 2006 when it merged with the Steel Authority of India Ltd (SAIL). Modernisation at IISCO Steel Plant has helped the city develop at a very rapid pace. The plant's capacity will be raised from 0.4 MT to 2.5 MT of saleable steel, using what will be the biggest blast furnace in the country.As of 2015, the investment for modernization was the single largest investment in West Bengal till then. Eastern Coalfields, which has its headquarters in Sanctoria near Dishergarh, has a significant presence in the area due to the huge deposits of high quality coal. However, most of the coalfields and surrounding residential colonies are located away from the main city. Nearby areas like Ranigunj, Chinakuri and Jamuria are of particular importance for coal blocks. As of 2012, the total coal reserve in the ECL command area up to 600 metre depth was 49.17 billion tonnes. Railways also is a big contributor to the economy of Asansol. 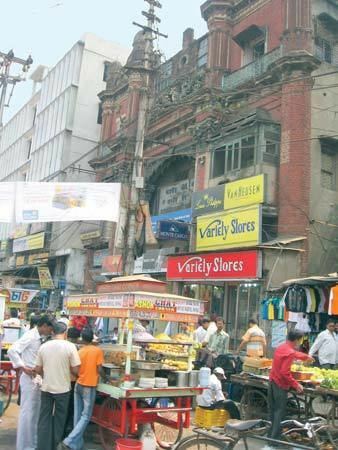 Railways was the first employer in the city and they are credited with developing the city in the late 19th century. Asansol is one of the four divisions of Eastern Railway Zone and among the major revenue generating divisions in Indian Railways. Chittaranjan Locomotive Works at Chittaranjan is one of the largest locomotive manufacturing units in the world. Production began there on 26 January 1950, the same day that India became a republic. Currently it produces the WAP-4, WAP-5, WAP-7, WAG 7 and WAG 9 locomotives. Other industries include Dishergarh Power Supply, Damodar Valley Corporation, Burn Standard Co. which is now a subsidiary of Eastern Railways, Hindustan Cables Limited and cement factories like Burnpur Cement. Asansol Engineering College is among the top engineering colleges in West Bengal. There are several public libraries, including the District Library. Prasar Bharati has a High Power Transmitter Station at Asansol which broadcasts Doordarshan National / Bangla and Doordarshan News Channel. Transmissions are not only received by the city but also neighbouring places. Other than national channels, several local channels are available through cable TV networks, such as Vision 24, Drishti Channel, ATV, and ISP Channel. Asansol currently has three FM radio stations: All India Radio, 92.7 BIG FM and 93.5 RED FM. The Polo Ground has been a landmark in Asansol for a long time. The ground got its name from the sport of polo which was played here during British rule. Asansol Indoor Stadium is on the same site and has a capacity of 500 spectators. The stadium, which is notable for having the largest shell concrete roof in the district, has two badminton courts and an interchangeable volleyball court. Adjacent to this is Asansol Stadium, where both district and subdivision level football and cricket matches are played. Eastern Railway Divisional Stadium, popularly known as the Loco Ground, houses several district and subdivision level football and cricket tournaments. The Burnpur Football Stadium is a centre of extensive sport activities. Players groomed in the SAIL Football Academy at Burnpur have represented SAIL in the Kolkata IFA and 1st Division League matches. Burnpur Cricket Club Ground is a first-class level cricket stadium located at Burnpur. Kazi Nazrul Islam Krirangan is being developed as an international standard stadium at the former Sen Raleigh Football Ground.